Walking into a business, you pay attention to its aesthetically pleasing nature, the employees behind the counter, and the overall appearance of the space. However, you probably pay no mind as to what’s going on behind the scenes and its extreme importance. Many businesses, whether they have an actual storefront or online only sales, have to have a fully functioning warehouse to get you the goods you desire. A warehouse needs to be organized and managed properly because it’s part of the well-oiled machine to keep the business running smoothly. At Felix Loeb, we understand the importance of warehouse management, which is why we supply pallet racking, pallet shelving, mezzanine structures, and much more to keep your warehouse looking pristine and staying functional. When you are running a business where goods and materials are what you supply, it is essential to have a quality control space. This space is where your inventory control personnel will inspect the goods being delivered into the warehouse, and make sure nothing is damaged and is ready for your customer to receive. Also, the merchandise will be inspected again, once it’s going out of the warehouse, to ensure that the product is ready for the customer to receive. Confirming you have the customers’ orders organized is key for this process to go smoothly. 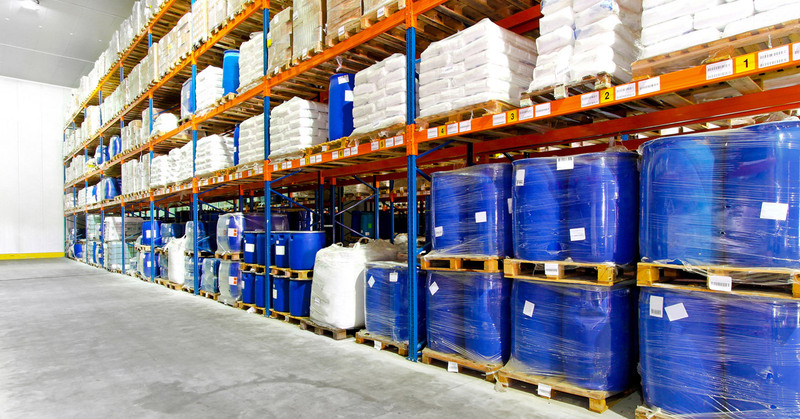 When you implement pallet racking and shelving, this will help keep your warehouse coordinated and provide more floor space, so it is easier to maneuver around the area. Even though you want each item to come in pristine condition, this is not always the case. Losses happen, but it is best practice to keep track of these losses of items and goods. Having an exceptional inventory system will provide this. You need to document how the item came into the warehouse, what type of damage occurred, and how much the damage affects the price of the product. Guaranteeing everything is labeled will give you the indication of how much the cost was at the time of purchase. Losing inventory affects your bottom line, so it is imperative to keep track in a formulated and beneficial manner. It is a common mistake to over order inventory because you could not locate previous items. Avoid this by having all your stock neatly organized and in its correct place. Using our pallet shelving and racking units will let you keep your inventory neat and accessible for any time you may need it. You won’t need to spend budget over ordering because you will know exactly what you have on hand with a satisfactory inventory system. When you have orders coming in for your materials, you want to be organized and as prepared as possible to fill them, so they go out efficiently. You need to have the inventory in a place that your staff can get to quickly and safely. Businesses lose precious time when searching for inventory. Never sacrifice customer service because of an unorganized warehouse. Keep your inventory in categories with clear labels. Setting up a mezzanine structure or pallet shelving and racking will keep your goods arranged in an easy to locate system, will ensure your staff and your customers are always satisfied. At Felix Loeb, we want to make sure you have the best business by keeping it organized with a phenomenal inventory system. Utilizing our products for storing your inventory is key. We offer our pallet shelving and racking for warehouses who need to have their floor space open. Our mezzanine structures are great for any size space. Whatever the need is for your warehouse, we have the products available to you. Learn more about our great products and order today!